If I told you the woman who runs Friends of Animals–a Connecticut-based international animal advocacy organization–is named Priscilla Feral, you might think I was pulling your leg. I’m not. And we’ll come back to the genesis of that improbable moniker later. If I told you her name isn’t close to being the most distinctive thing about Priscilla Feral, you might think I was pulling your leg a second time. Again, I’m not. For instance, Feral, who’s 68, has been Friends of Animals’ president for 30 years. And she’s worked there for…43 years. See what I mean? I didn’t consult the Friends of Animals’ human resources department, but at this point, I think it’s safe to say Feral’s job is secure. “I think that I’m wired for this kind of-what seems like–confrontational work,” Feral said in a Talking Animals interview that aired July 5. 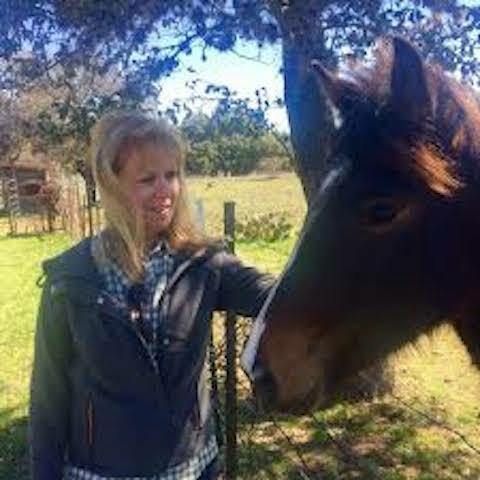 Patricia Feral on hunting on ranches: ‘There’s no real stalking involved, there’s no wilderness adventure.’ A 60 Minutes interview. With that assessment, Feral is underplaying her role and the significant ways in which she’s shaped Friends of Animals-not hard to imagine she’s put a distinctive stamp on the operation, given her three decades at the helm. But when she enthuses about the “style of the organization when I first found it,” she’s really enthusing about the organization’s founder, Alice Herrington. As a young woman, who already held some jobs-with men as bosses-Feral was immediately taken with the chance to work for Herrington. “It was such an opportunity to learn from somebody who was a rugged individualist, a real maverick in the true sense of the word,” Feral said. It may go without saying that there weren’t many women starting organizations in the 1950s, never mind animal organizations. But it’s clear from looking at her accomplishments, and from hearing Feral gush about her, that Herrington was a truly singular woman. And a powerful, ongoing influence on Feral. Herrington launched Friends of Animals aiming to help cats and dogs, particularly to remedy the homeless animal problem, which was significant even back then, and which she realized wasn’t going to be solved through adoptions alone, Feral recalled. So Herrington created a nationwide spay/neuter program for dogs and cats, enabling pet owners to have their animals undergo those procedures at a much lower cost than if they walked into veterinarian’s office. Now, the phrase “low-cost spay and neuter” is as common as the President issuing yet another petulant tweet. But Herrington created her program the better part of 60 years ago-clearly, a pioneer in multiple respects, driven by tremendous affection and concern for animals. “When she took on animal rights as a wildlife perspective, meaning she thought ‘Yeah, we’re talking horses in New York, and dogs and cats, but what about deer that are hunted, and ducks that fly, the innocence of seals that are clubbed, and what have you-she was the first to address fur as a commodity, as a vulgarity. “She was the first to address factory farming, and to see that it became something more than that-it wasn’t just a way of regulating an industry that was really treacherous for animals. If it sounds like she is describing someone marked by massive, historic achievement-and that she had gargantuan shoes to fill-it really reflects Feral’s generosity of spirit, probably generally, but certainly when it comes to Herrington. Feral has proven to be not just a worthy successor, but an impressive figure in her own right, shepherding Friends of Animals into its current role as a highly accomplished, international entity in the realm of animal advocacy, with a broad portfolio that extends from a descendant of Herrington’s formative spaying and neutering program, to the Chimpanzee Refuge Project in Gambia, to promoting the virtues of veganism, to its signature Wildlife Law Program. Feral is formidable. Her career is not merely characterized by those eye-popping employment stats at Friends of Animals. But underneath those, you could make a case for someone with a phenomenal work ethic (when she started working for Herrington, the office was based in New York, Feral lived in Connecticut, as she does now, which meant a five-hour round-trip commute, every day), a prodigious passion for getting things done. Not coincidentally, she’s also propelled by an immense affection and concern for animals. It’s also easy to imagine she has spawned a battalion of women-both inside and outside the hallways of Friends of Animals-who are working diligently on behalf of animal welfare, and who have been directly (or indirectly) inspired by Feral, the way she was by Herrington. 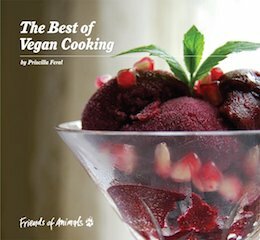 The Best of Vegan Cooking, by Priscilla Feral, is a collection of 84 vegan recipes gathered from various sources. The book is focused on vegetables, fruit, berries, whole grains and legumes. And as someone who may be as visionary as her mentor, but is clearly more charismatic and engaging than the rough-around-the-edges Herrington, Feral’s leadership and feats look to be no less inspiring to men of various ages. One notable example of this surfaced, peripherally and unintentionally, as she described the Wildlife Law Program, which Friends of Animals established in 2013, seeking to–among other objectives–bridge the puzzling gap that often exists between animal activism and environmental activism. 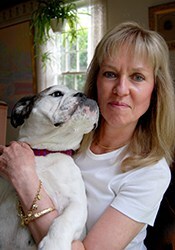 Anyone who’s spent even a little time concerned with animal welfare knows that the only way to effectively address small indignities and grotesque atrocities–and anything in between–in that world involves legislation: passing legislation to address a problem, passing improved versions of toothless legislation, recognizing how best to enforce existing laws, and understanding how to most effectively exploit certain laws to best serve animals and their well-being. So it’s not at all difficult to believe Feral when, in discussing what she considers the main differences between Friends of Animals and other major animal organizations, she says, “what really has set us apart from everyone else, I think in this field, is our fantastic litigation office-our Wildlife Law Program. “It’s centered in Denver, Colorado,” she continued. “And we have a staff of five attorneys and interns and, sometimes, externs. And we have lots of litigation that we can afford because we’ve got all these people on staff. “So, what we do is we sue the government when they make horrible mistakes, when they’re using law but they’re not paying attention to the law to justify particular carnage. “They’re cases where we think animals should be upgraded for better protection on the endangered species list, and we make cases for why that should happen. We’ve won a number of these lawsuits, so they’re wildlife and parrots and sharks, prairie dogs, some species of fish, and lots of wild horses that are protected today than they were just five years ago. Discussing the impetus for forging the Wildlife Program, she mentions Director Michael Harris, whom Feral and others at Friends of Animals had worked with at the University of Denver Law Clinic. “There are a number of lawyers there, who took on cases pro bono. Michael was prominent. And we had several victories. One was to stop the hunting of three endangered species of antelopes at Texas hunting ranches. So we had some important court victories. Michael Harris sounds like a stepchild of Alice Harrington-driven to forgo those academic and professional perks to pursue the greater good, to work more formally alongside stepchild (and maverick) Number One, Priscilla Feral. “There were two marriages that defined my last names, that’s true,” she said. “But in 1974, I was getting a divorce, and my last name had been Brennan. I was having some pictures taken for public relations purposes that Alice wanted. Feral reports that her current marriage is going great. Her relationship with Friends of Animals is going pretty well, too. She’s fast approaching year 44 with the organization, and you get the sense she’d consider changing her name again before she ponder retiring: She’s got more work to do.